Highlights : Bodhgaya, Kushinagar, Lumbini, Sarnath, Rajgir and Nalanda - the world famous pilgrimage sites of Buddhists. Sightseeing of Varanasi, one of the holiest centre of Hindus. Boat ride in holy river Ganga. The temple tour covering two weeks of duration is full of temple sightseeing. The tour will take you to some of the most famous pilgrimage destinations of India. 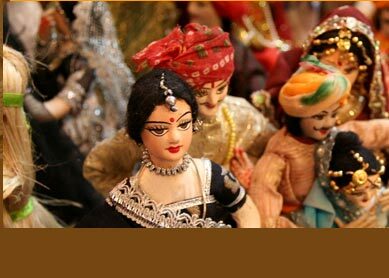 Visit to many of its temple give you a wonderful way of exploring the rich cultural heritage of India. You will visit places like Delhi, Lumbini, Varanasi, Bodhgaya and Rajgir, which are endowed with heaps of religious and cultural significance. Day 1: Delhi. You arrive at Delhi airport in night. Transfer to the hotel. Day 2: Delhi-Balrampur. 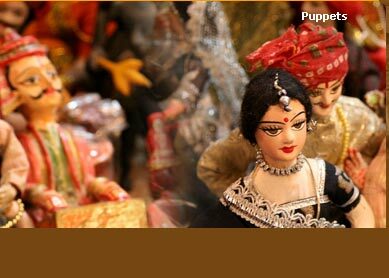 Take half day sightseeing tour of Delhi. In evening, catch train for Lucknow. Overnight at train. Day 3: Lucknow-Balrampur. Check into hotel for half day. Later in noon, drive to Balrampur. Stay overnight at hotel. Day 4: Balrampur-Lumbini. Drive to Lumbini in morning. En route, visit Sahet & Mahet. Later drive further, and visit world famous Buddhist sites of Lumbini. Day 5: Lumbini-Kushinagar. After breakfast at hotel, drive to Kushinagar. Visit here popular Buddhist sites. Overnight at hotel. Day 6: Kushinagar-Sarnath-Varanasi. From Kushinagar, drive to Varanasi in morning. En route falls Sarnath, the famous Buddhist tourist place, where you will halt. Later you will drive further, and will reach Varanasi in evening. Check into hotel. Day 7: Varanasi. Full day sightseeing of this Hindu pilgrimage destination keep you busy visiting its popular attractions like Ganga Ghats, temples and its world famous Benaras Hindu University. Day 8: Varanasi-Bodhgaya. Enjoy morning boat ride in Ganga. Later, drive to Bodhgaya, and reach in evening. Overnight at hotel. Day 9: Bodhgaya. Find the deeper spiritual touch at this worlds most sacred Buddhist site. Full day sightseeing include visit to its Mahabodhi Tree, Mahabodhi Temple and Niranjan River. Day 10: Bodhgaya-Rajgir. Drive to Rajgir in morning, and visit its popular Buddhist sites like Satupapirini Cave, Venu Van Vihara and Gridhhakoot Hill. Overnight at hotel. Day 11: Rajgir-Nalanda-Patna. In morning drive to Patna. 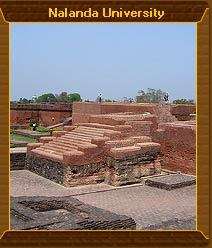 En route, halt at Nalanda, and visit the world famous ancient Nalanda University, which is now in devastated state. Later, drive to Patna, and stay overnight at hotel. Day 12: Patna. After breakfast at hotel, go for full day sightseeing of Patna, which includes visit to its popular places like Golghar, Jalan Museum, Handicrafts Museum, Zoological Park, Martyrs Memorial and Kumhrar Museum. Overnight at hotel. Day 13: Patna-Delhi. Fly to Delhi in morning. Check into hotel. in evening enjoy shopping at its famous Cannaught Place. Day 14: Delhi. In morning, according to your flight schedule, you will be transferred to airport, where you will catch flight for your returning journey. On this tour, you will be visiting some of the world famous Buddhist and Hindu temples. Buddhist pilgrimage destinations like Bodhgaya, Kushinagar, Lumbini, Sarnath, Rajgir and Nalanda are some of the most famous Buddhist places, which will give you a perfect way of attaining spirituality. You will also visit some other popular tourist destinations of India. Visit to Delhi, the historical capital of India, will you fine opportunity to see its many of historical monuments like Red Fort, Qutab Minar, Jama Masjid and Humayun Tomb. While being at Varanasi, you will be visiting its world famous ghats of Ganga along with series of temples. In morning, take boat ride in the holy river Ganga, and see its natural beauty. Shopping opportunity at each of these destinations you visit will busy you thinning you wallet. Items like handicrafts, jewelry and textiles will be the best you can buy, and flaunt proudly when you are back to your home.